The November 7 general election is only a few days away and our endorsements have only marginally changed since the primary. When we released our primary endorsements, we said we’d revisit the candidates during the general elections. We chose to rescind our endorsement for Dearborn City Council candidate Sean Green due to his unreliable acts after the primary, which have the community questioning his integrity, trustworthiness and all that he said he stood for during the interview that led to the primary endorsements. For the general elections across Metro Detroit, the candidates we chose to endorse are all qualified to help diversify each city, benefit the respective community and its economy. Discrimination in Michigan has become evident when looking at the lack of administrative representation of ethnic and minority communities, including Arab Americans, in jobs and on commissions in cities like Dearborn, which has the highest concentration of Arab Americans, and Dearborn Heights. Hamtramck, also a city of immigrants, deserves proper representation of its population in city government. It also needs to elect more officials who promote diversity, like Mayor Karen Majewski— especially after a current Councilman shared bigoted views about immigrants with a news outlet. Hamtramck has a Muslim-majority population, 32 percent of whom are Yemeni Americans. When speaking on WWJ-AM 950 last month, Ian Perrotta blamed immigrants for the trash problem in Hamtramck. In an age, when our own president spews hateful rhetoric against immigrants, refugees and Muslims, ignorant comments like Perrotta’s have become the norm. We must help put an end to them— by voting for the right candidates. Mayor Jack O’Reilly, an honest and reliable public servant, has served Dearborn and the region in different aptitudes for decades— as the president of City Council for 17 years and as mayor since 2007. He was reelected for his second term in 2013. His father, John Sr., was mayor of Dearborn from 1978 to 1985. Before becoming mayor, he served as the executive director of the Southeast Michigan Community Alliance (SEMCA) from 1996-2007. Therefore, as the son of a city servant, as a servant himself and a lifetime resident, who is raising his family here, he’s dedicated to the city and has mastered the tactics that help steer it to the top. O’Reilly has piloted Dearborn through the toughest economic circumstances since the Great Depression. Under his leadership, the city has moved forward, but not as much as we’ve hoped. Only 8 percent of the Arab American residents work in city government, but he said he plans to increase representation by looking for ways to encourage community members to apply for city jobs. Arab Americans comprise 48 percent of the city’s population. He is devoted to all city residents, attending most events, interacting with them and speaking against hate and promoting civility. By contrast, we’ve never seen his opponent, Councilman Tom Tafelski, do the same. O’Reilly recently played a key role in Ford Motor Company’s investment in Dearborn. Ford plans to transform its world headquarters with $1.3 billion and build a new campus on Michigan Avenue and Monroe with $60 million. The AANews expressed concerns to the mayor as to why the company is only investing in west Dearborn, but he promised a plan for the east end’s businesses and its infrastructure. O’Reilly said Ford has always redeveloped its property, which is located in the west side, since attaining it in the 1920s. O’Reilly also has endured negative campaign attacks, but has neither faltered nor reciprocated. He is true to himself and his community. On the other hand, Tafelski has served on the City Council for 17 years, including six as president— longer than O’Reilly’s 11-year tenure as a mayor— without any accomplishments of his own to claim. Tafelski has been absent from any community activities or interactions for almost all of his years in public office. Arab Americans and American Muslims in Dearborn must not forget that when the controversial Pastor Terry Jones made his infamous trip to Dearborn in 2012, threatening to burn the Holy Quran in front of the Islamic Center of America and before the entire world as international media converged on the city to cover the hyped event, O’Reilly stood firm beside the community against hate mongering and such horrendous insult to one of the three Abrahamic religions. Tafelski, then the president of the City Council, was nowhere to be seen. Most recently, an investigative report by WXYZ –TV Channel 7 cited a series of incidents where Tafelski allegedly misused his position on the Council by impersonating a police officer three times. In another incident, in 2013, recorded on an official court document, Tafelski asked a police officer to do him a favor and to surveil the home of his wife, whom he was divorcing, and to dig through her trash. According to a deposition by the police officer, who’d complied, he was subsequently fired in part because he did the councilman that favor. 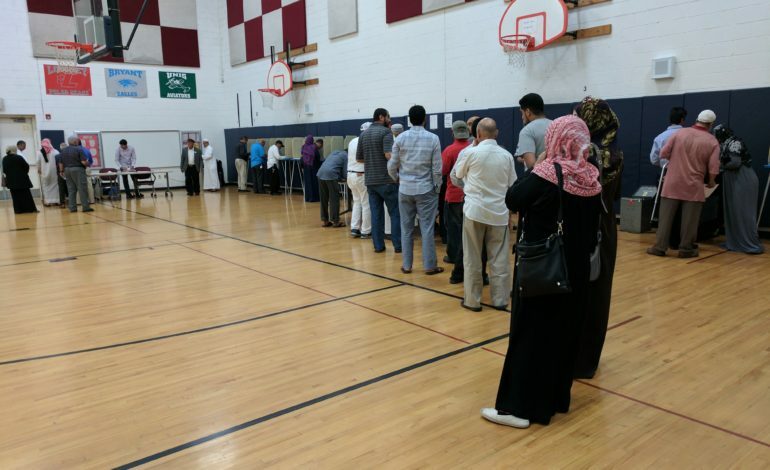 Given the choices in the Dearborn mayoral race that voters are presented with, The Arab American News strongly recommends re-electing Mayor Jack O’Reilly for another four years. We believe new voices on the City Council will benefit the city greatly and move it in the right direction, so we endorse newcomers Fayrouz Bazzi, Leslie Herrick, Erin Byrnes, Nada Al-Hanooti and Ramez Haidar. As for the incumbents, Councilwoman Susan Dabaja and Councilman Mike Sareini also deserve your vote. Dabaja has established a legal and public service career in Dearborn. She was the top-vote-getter in the primary elections. She says that public safety, neighborhood services and economic development are all priority issues in her book, so she plans on supporting legislation or resolutions that preserve the city’s standard for public safety. During her first term in office, the City Council abolished paid parking, which she credits as a catalyst for the prosperous economy today. She promises to bridge the divide in Dearborn by connecting all parts of the city. The community undoubtedly sees that Sareini’s last four years of public service on the Council highlighted his exceptional leadership and knowledge of the issues the city and the community as a whole face, since he and Dabaja tied in receiving the highest number of votes in the primary. Sareini has succeeded at undertaking challenging issues and hasn’t hesitated to ask the tough questions and make difficult decisions. He has supervised the city’s general operating budget of $117 million, while ensuring residents’ concerns are properly addressed and services offered are of top quality. Herrick, a communications specialist with experience working in City Hall and for the Dearborn Public Schools, is the perfect addition to the Council. She plans on making Dearborn a “destination city”, promotes diversity and aims to find a way to benefit the city’s residents and businesses through tax dollars. Herrick’s efforts to bring in more business into the city are much needed to keep residents from moving away and also to revamp it. Byrnes is the chair of the City Beautiful Commission and an educator. She plans to focus on the image of our city— its neighborhoods, parks and business. She wants to ensure economic and community growth by focusing on expanding meeting spaces, inviting retail that meets residents’ needs and investing in technology that saves our environment. She also promotes diversity. Al-Hanooti, the youngest candidate for a seat on the Council, has been active in our community since high school. We believe she has the public service drive and the education that qualify her for the seat. At 26-years-old, and with her fresh ideas, she will be a vital example and a voice for young Arab American women in our community. If elected to the Council, Bazzi’s willingness to listen and her caring nature will better the city’s humanitarian direction. As an ICU nurse, she has served the critically ill in our community on a daily basis, attending to their needs and taking care of them in their blackest hours. She has dealt with life and death situations. She has been involved in people’s personal lives and understands the issues they face. We believe she will lead benevolently toward a better life in the city. Haidar volunteers his time as a commander with the Wayne County Sherriff’s Office to protect his community because public safety is his priority. Haidar also has bachelor’s and master’s degrees in electrical engineering. He has the education, dedication and energy to serve the community. He plans on reducing the city’s crime rate and to tackle challenges such as city property tax charges and ensure quality services for all residents. For city clerk, we endorse former State Rep. George Darany, who served on the City Council from 2006 to 2010 and was state representative for six years before being term limited last year. He is not new to public office and has the experience and temperament to succeed as city clerk. He will be responsible for city elections, voter registration, absentee voting, bill payment and record keeping— all tasks that would come easy to him. He’s trustworthy and will definitely assure transparency in the clerk’s office. He has even proposed to extend office hours to accommodate employees and to use more modern technology when it comes to providing services to citizens. We endorse Mayor Dan Paletko for reelection. Paletko, like O’Reilly, is a trustworthy and dependable mayor who has moved Dearborn Heights forward. He was able to shift the city from a $5 million deficit to a $5.4 million surplus. He has also been working on programs to increase Arab American applicants to city jobs and encourage diversity in the police and fire departments. He believes that Arab Americans are an important part of the city and have increased its viability. In fact, even before Arab Americans started moving to Dearborn Heights, he hired an Arab American as the head of Building and Safety. Paletko is a certified public accountant, former State Representative and retired manager at Ford Motor Company. His experience as a CPA allows him to uphold city services without overtaxing residents. He truly deserves to be reelected. Constan was the Council’s president pro-tem from 2001 to 2006 and later served three terms in the State House of Representatives until 2013. He returned to Dearborn Heights to become the council’s president, a position he currently holds. During his tenures on the Council and in the State House, Constan befriended the Arab American community, regularly attending events and listening to community members. He’s never turned his back on them. Constan understands what Dearborn Heights, which has a small tax base, needs to invite residents and businesses. He acknowledges that an influx of Arab American home buyers has improved the quality and value of properties. Bill Bazzi was once an engineer at two major aeronautic corporations and has 21 years of service in the United States Marine Corps. He is an exceptional and disciplined role model for the Arab American community and will be a perfect addition to Council. He was recently elected as the Commander of the Dearborn Allied War Veterans Council (DAWVC)— an exceptional feat. He plans to establish more operative methods that direct residents’ and business owners’ concerns to the city government, in order for them to be quickly solved. Baydoun, a 27-year-old business owner, will most definitely inspire the youth to serve their community. He is a go-getter with an ability to understand the needs of small businesses and what needs to be done, so that more businesses can call Dearborn Heights their home. Baydoun promises better-quality services and programs for seniors and youth, and a transparent government. Mallad, an Arab American small business owner with 20 years of experience in the healthcare industry, envisions a safe and healthy city. He promises to develop services while detecting new ways to produce income without raising taxes. His top priorities are fiscal responsibility, transparency, the public’s health and safety, providing quality services and economic growth. The AANews is not issuing any endorsements in either the city clerk or treasurer races, since both candidates are running unopposed. We endorse Mayor Karen Majewski, Hamtramck’s first female mayor, who was elected in 2005 and then reelected in 2009 and 2013. She understands the immigrant community well, as she has a Ph.D. in American culture from the University of Michigan, specializing in the study of immigration and ethnicity. She publicly stands against Islamophobia and her work for the first Muslim-majority city promises tolerance, stability and advancement. We endorse Fadel Al-Marsoumi an Iraqi American in his early 20s. He’s an IT specialist who worked at a financial planning company. He grew up in Hamtramck and plans to serve his community to the best of his ability. He hopes to improve public safety, regulate the budget and help businesses in the city. He promotes financial transparency and advocates for incentives, like tax-cuts or rent assistance, that aid immigrant-owned businesses for a few months after opening. Elected in 2013, Mike Duggan was the first White mayor of Detroit in 40 years. He has done so much for the city that it’s striving more than ever. The decline in population over the past half century has weakened the maintenance of the city’s infrastructure. That’s why repairing Detroit won’t happen overnight, but Duggan has a plan and is on his way to fixing the inequity between neighborhoods and the downtown. He works well with African American leaders to provide numerous job opportunities to Detroit residents. Even the Black Slate Political Action Committee, an influential African American community organization, endorsed Duggan in his bid for a second term as mayor. The committee had first helped elect Mayor Coleman A. Young in 1973. In a sweeping victory last November, Councilwoman Janeé Ayers was elected to a partial term for an at-large seat. She garnered 60 percent of the votes and won more than 100,000 votes city-wide, more than any single city-wide candidate in over a decade. She has served on the council since 2015, when she was selected to fill the vacant seat, and has demonstrated a will to work hard, sitting on four committees, more than any other Detroit Council member. She prioritizes public safety for those who reside and do business in the city, inclusivity and Detroit’s growth to benefit the neighborhoods— the same way it benefits both downtown and midtown. Mayor Bill Wild has gotten high marks for his economic stewardship of Westland. Since he took office, the city has cleaned up an old deficit and balanced its budget every year. The city has a surplus despite being projected to run out of money in 2009. While some neighboring cities and other bedroom communities in Southeast Michigan are struggling to survive amidst a dwindling population and loss of revenue, Wild says his city is standing strong despite the odds. Bill Wild has proven his leadership and deserves to be elected for another term to continue steering Westland to a better future. 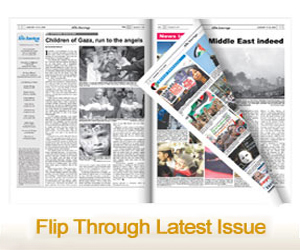 Once again another one-sided and incorrect article from the Arab American News. Can you please tell me how stating a fact that is agreed upon by a multitude of NGOs and individuals who have experienced the situation first hand is bigoted? The Arab American News is happy to say I have made bigoted statements, but what about those who agreed with me — are they bigots too? Is Bangladeshi-American former mayoral candidate Kamal Rahman a bigot because he agrees? What about Yemeni-American and former council candidate Akil Alhalmi, who stated in this very publication that there was truth to what I said? Or how about the many other Hamtramckans of all ethnic groups who have privately agreed with me? When that article came out this publication went to Hamtramck and claimed that a picture they took of a piece of trash on Jos. Campau was the “only piece of trash” that could be found in Hamtramck. Clearly there is a dearth of capable reporters at the AAN, because last Saturday I spent about an hour with council candidate Nayeem Choudhury cleaning up Conant. About a half dozen people were able to clean up one block during this time. Would a weed and trash-free block take an hour to clean? Perhaps if this publication spent even half the time it spends writing about me actually talking to me, it might realize that I’m not the bigoted, anti-immigrant person it makes me out to be. I don’t care about race, ethnicity, or religion, I care about facts. The only way a problem can be solved is if you understand the reason for the problem. Different places have different practices and priorities, and that is all I was saying. To compare that sentiment to the actions of President Trump is ludicrous.